Research area: the main research fields concern with the numerical modeling of free-surface multiphase rapidly varied flows, including landslide generated wave, water wave impact against rigid body, water wave interaction with floating body, sediment transport (dam flushing, scouring downstream a river barrage), wind sea waves generation and interactions. 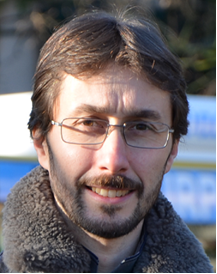 Sauro Manenti is currently Tenured Assistant Professor of fluid Mechanics and Continuum Mechanics at the Department of Civil Engineering and Architecture (DICAr) of the University of Pavia (Italy). From 2007 till 2009 he was Appointed Professor of Coastal Engineering and Maritime Construction at the University of Rome “Sapienza”. His current research activity is mainly devoted to the development and application of Smoothed Particle Hydrodynamics (SPH) method for modelling multiphase problems involving: landslide-water coupled dynamics; landslide generated tsunami; scouring induced by rapidly varied flow; multiphase flow with high density ratio. Co-Author of the SPH FOSS code SPHERA v.9.0.0 (RSE SpA) available at https://github.com/AndreaAmicarelliRSE/SPHERA. Author and co-author of 22 documents (12 as first author) indexed by Scopus; h–index: 6 (Scopus); citations 157 (Scopus). Scopus author ID: 36056802200; ORCID: http://orcid.org/0000-0002-5467-9640. Selected as reviewer for several International Journals in the field of hydraulic engineering and fluid mechanics.